Looking for a unique way to experience all the beauty the Roanoke Valley has to offer? The best seat in the house has wings attached! See below for routes, pricing, purchase, and FAQs. For further questions and scheduling, email us at fly@starflighttraining.com or give us a call at 540-855-8186! Looking for a unique way to see the fall colors, holiday lights, fireworks, etc? Check back often for fun seasonal opportunities! Have an idea for something special? 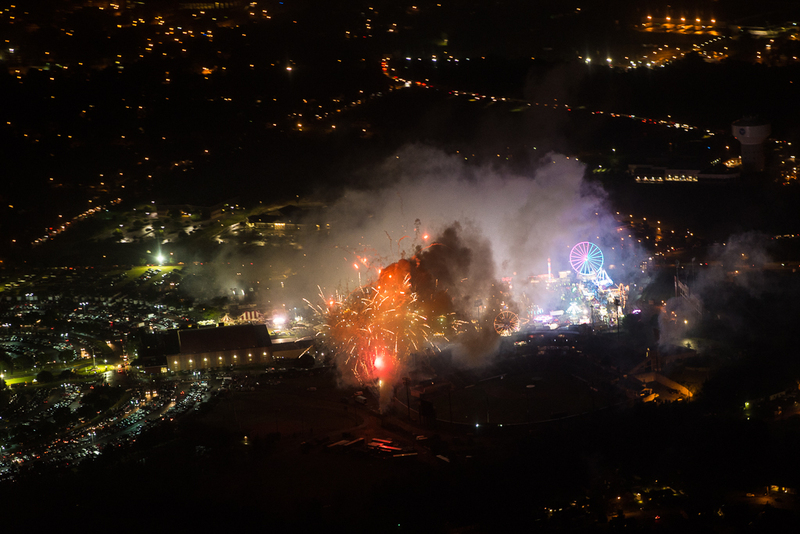 Fly over your old stomping grounds? A date night they won't forget? Give us a call and let us help with your special request! Yes! 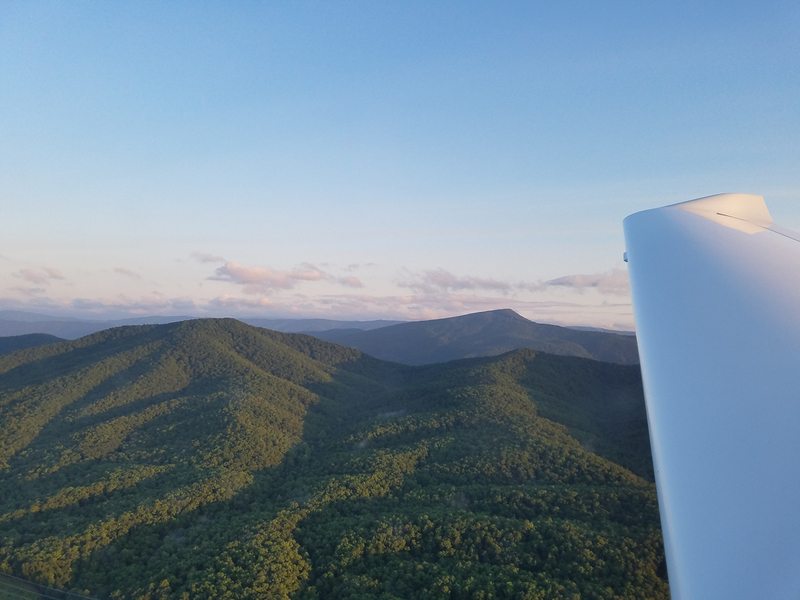 We are authorized by the FAA to conduct aerial tours and our pilots, maintenance, and other safety-critical personnel are part of an FAA/DOT approved random drug and alcohol screening program. We also adhere to higher maintenance standards on our aircraft than is required by a typical aircraft owner. We take aviation safety seriously, so no matter where and when you choose to do an airplane ride, always make sure you are going with an authorized professional (they should be able to show you documentation from the FAA authorizing air tours - here's ours) in a well-maintained aircraft! What kind of aircraft will I fly in? We use four-seat Diamond DA40s for our air tour flights. These are modern aircraft (less than 10 years old which is brand new compared to most aircraft) with advanced avionics and some of the highest safety statistics in general aviation. 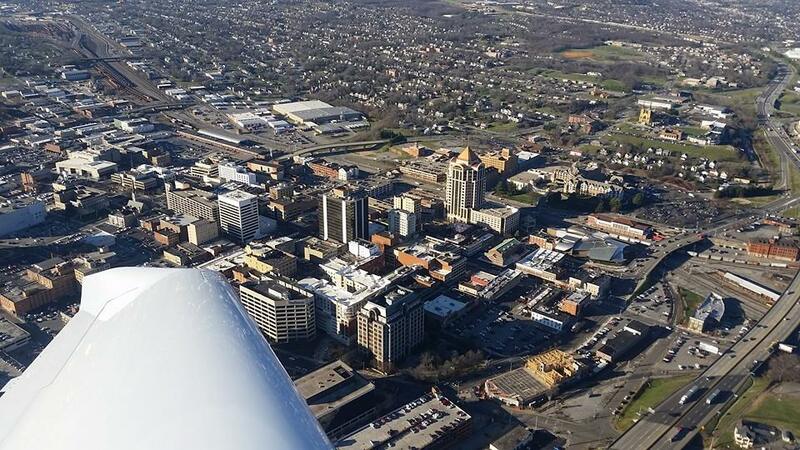 Your pilot will be one of our friendly and highly-skilled Flight Instructor / Commercial Pilots. Price is flat rate based on the route you choose whether it's one passenger or three. 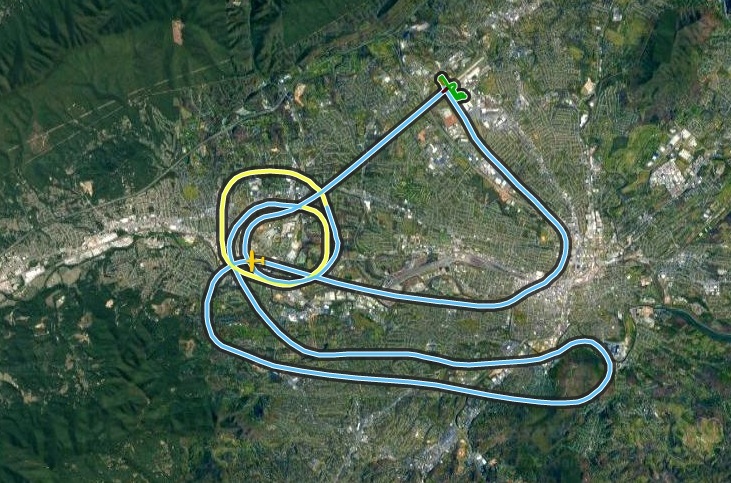 Roanoke is controlled airspace (meaning we work with air traffic control) which can sometimes cause it to be difficult to time the flight exactly to the minute. We do not charge extra if a flight goes over the allotted time. Payment will be taken at time of scheduling. The aircraft has seating for a pilot (one of us) and up to three passengers as long as the total weight of everyone is less than about 600 lbs. Prior to your flight, you will be asked for approximate weights so we can do weight and balance calculations. We can safely fly in "bad" weather (rain, turbulence, high winds, etc. ), but for air tours we recommend going in good weather for maximum enjoyment. If the weather doesn't cooperate, we will work with you to reschedule. Some routes may not be available at all times. 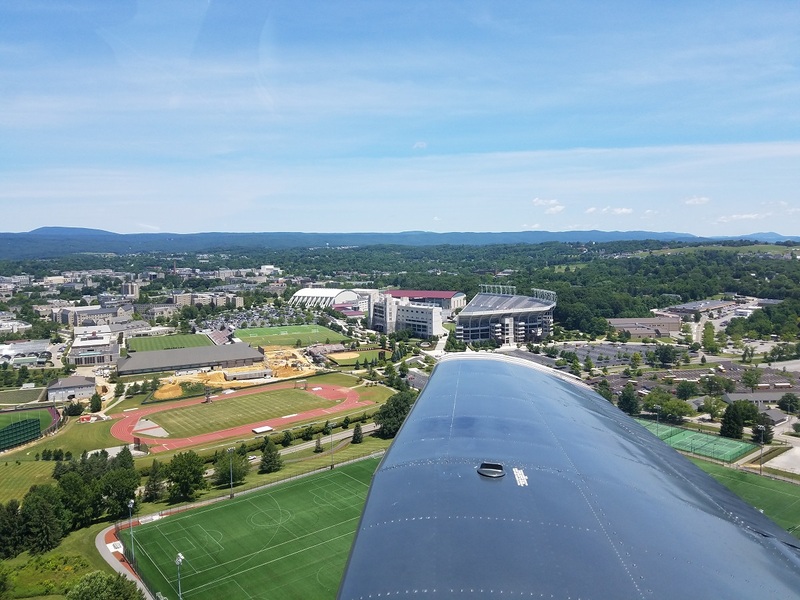 For example, we may not be able to do the Hokie Route during a football game or other large event due to airspace closures around the event. Will I get to fly the airplane? 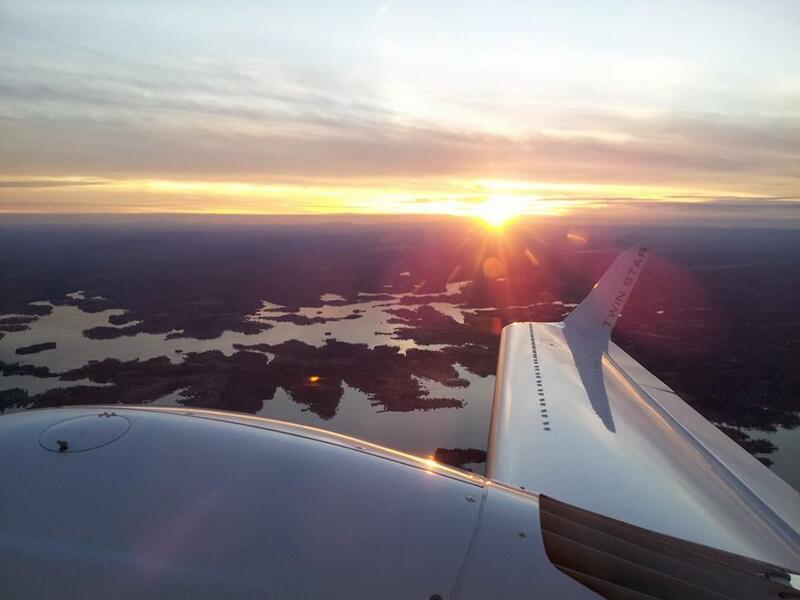 Air Tours are designed to let you sit back, relax, and enjoy the views around you. If you'd like to try your hand at flying the aircraft, check out our Discovery Flights! Payment is taken the flight is scheduled and can be made through PayPal or over the phone during business hours. If you'd like a gift certificate to present, let us know via phone or email and we'll be happy to email you one!